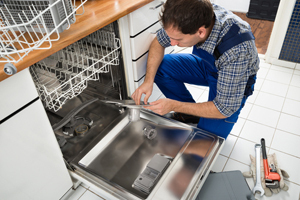 Staats Service provides dishwasher repair Peoria IL homeowners use for quick service at an upfront price. At the first sign of a problem, we respond quickly to repair your dishwasher. 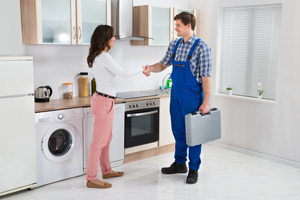 Also, we can repair washers, dryers, refrigerators, microwaves, ovens, ranges and other appliances. Furthermore, prices will never be a mystery with us. The price we quote you is the price you will pay. We set our price by the job, not by the hour. Therefore, you do not have to worry about getting a bigger final bill than you anticipated. Staats Services feels that our accurate, honest prices are part of what separates us from our competitors. So, call Staats Service today at 309-694-9177 or contact us online for an honest price on dishwasher repair. Staats Service offers dishwasher repair Peoria IL locals want for upfront prices, and fast service for other things, too. Are you looking for reliable heating and cooling solutions? We can take care of you. Accordingly, we repair most major brand names of HVAC systems, and sell and install new ones manufactured by Rheem. In addition, we provide preventative maintenance plans to help you prevent HVAC problems from popping up in the future. Most importantly, we respond with 24-hour service any time you experience a heating or cooling emergency. Additionally, we can help with electric heat solutions, repair thermostats and improve the air quality in your house. Nobody has time for a broken dishwasher. So, call Staats Service for quick dishwasher repair Peoria IL residents appreciate for the upfront price. Hire the most-trusted name in the Tri-County area today by calling 309-694-9177 or contacting us online. Do you want dishwasher repair outside of Peoria? That’s not a problem. Our office is located at 601 South Main Street in Creve Coeur. Therefore, we can respond quickly to calls for service in East Peoria, Washington, Morton, Pekin, Metamora and throughout the Tri-County area.